About a month ago I brought my first legit pom-pom maker from Blitsy. Now up to this point I had made a few pom-poms by hand (using that crazy cardboard contraption method) but for the most part had no real interest in making my own pom-poms. 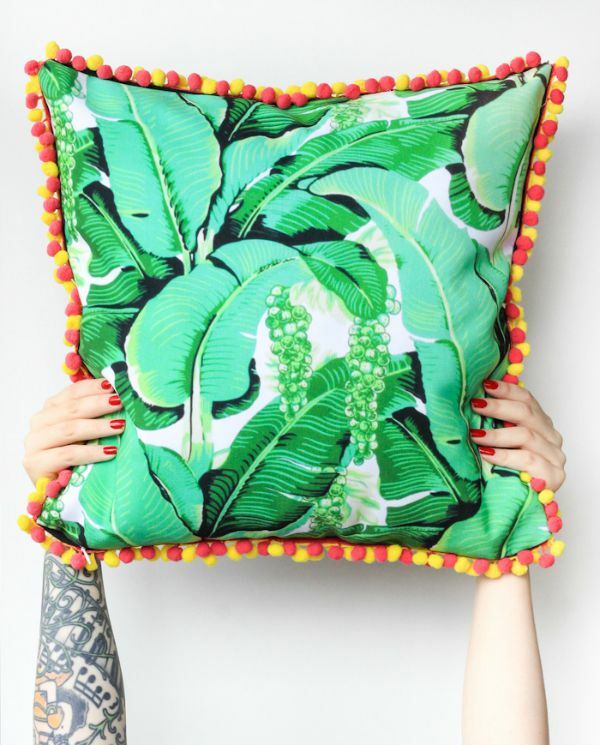 I then began seeing all of these cute DIYs which used pom-poms to either create something new (like a wall hanging) or redecorate an existing item (like a bag). 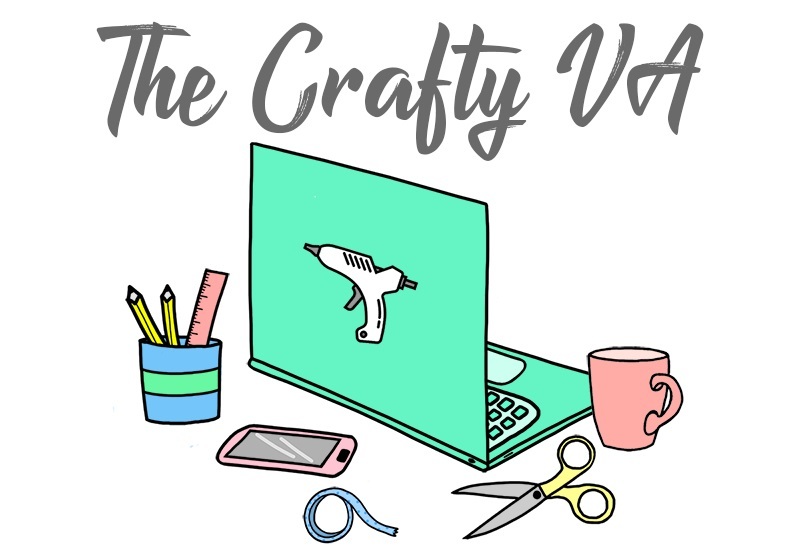 After seeing all of these amazing projects I thought that a pom-pom maker would be a nice addition to my craft supplies (since you never know when you might need it). So I ended up purchasing the Clover Pom-Pom Maker in extra small from Blitsy. Let's just say, after that purchase my life has not been the same (lol)! For lack of better words, the pom-pom bug has bitten me! All I do now when I'm watching TV is make pom-poms. 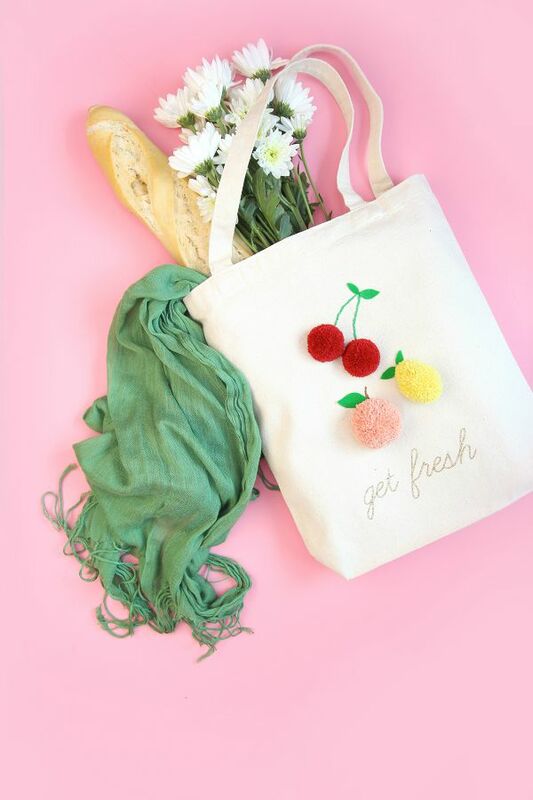 Its sort-of like crocheting or knitting, once you learn how make something it becomes a habit and you end up making stuff (in this case pom-poms) constantly. 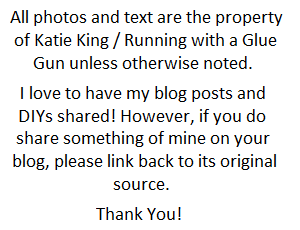 I've already made so many that I don't know what I'm going to do with them (lol)! 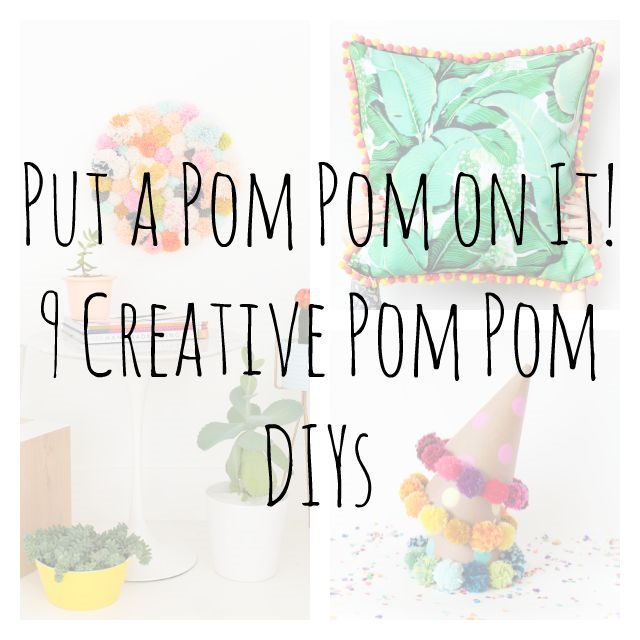 In honor of my new love of pom-pom making, I thought it would be fun to roundup 9 creative DIYs which feature pom-poms. 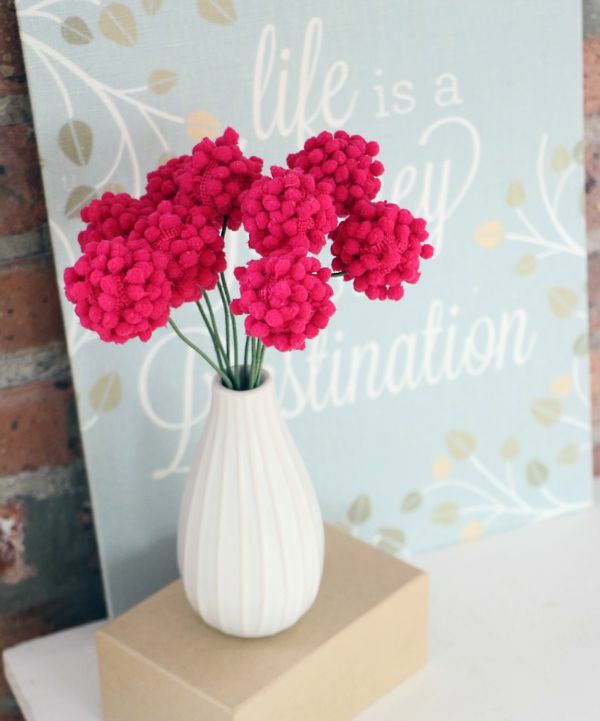 Don't you just love pom-poms? 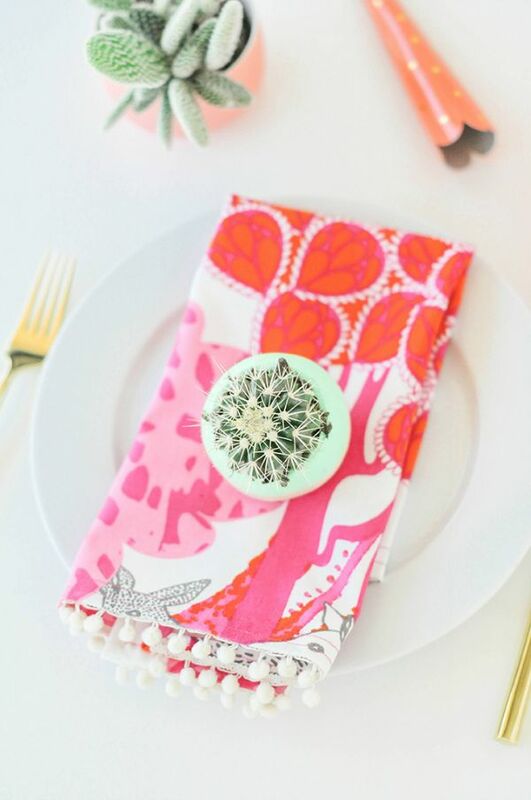 Out of the above projects a few of my favorites are the party hats, pillow and flowers. 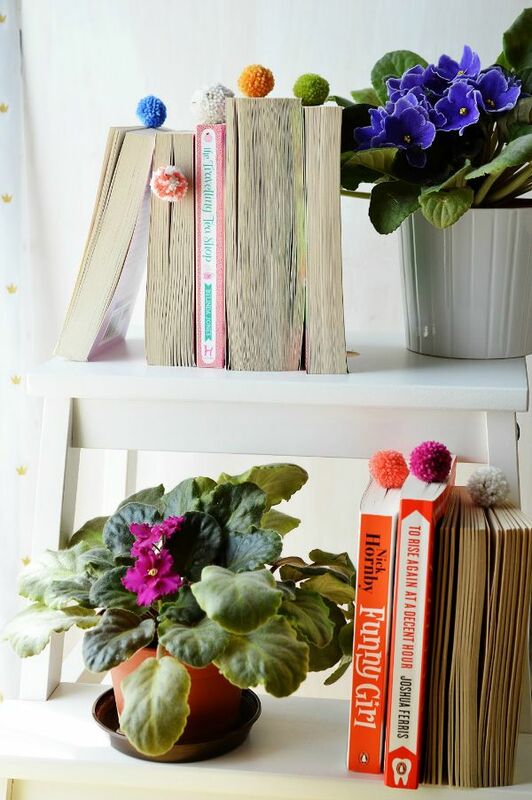 Have you ever made your own pom-poms? 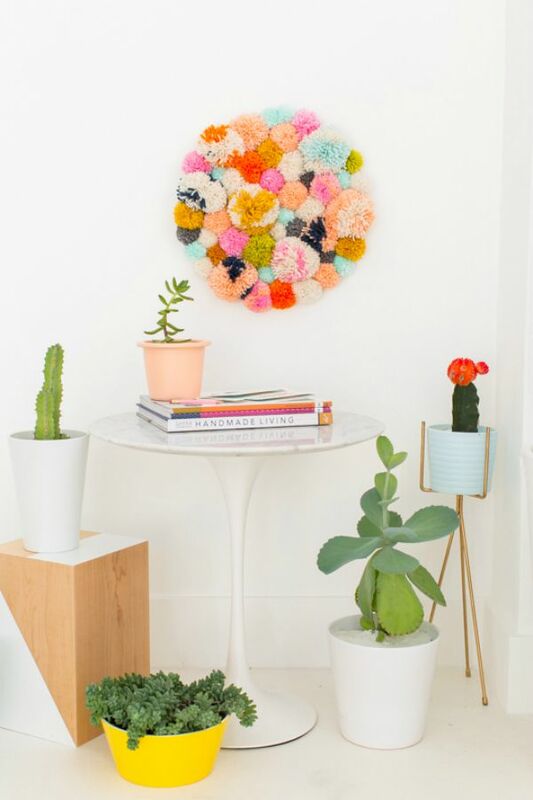 Or Are you obsessed with pom-pom making like me? 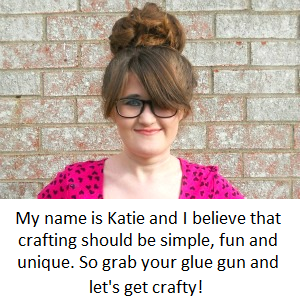 p.s Come back on Thursday to see a brand new DIY which uses some of those pom-poms I've been making! 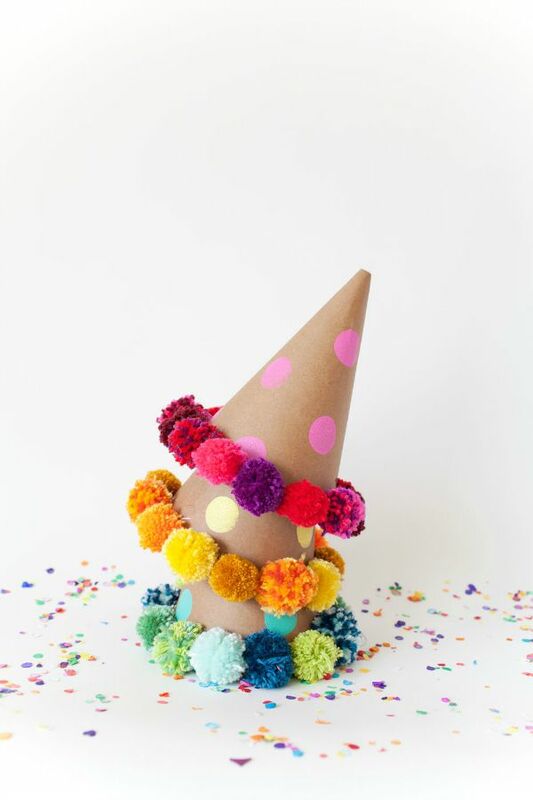 Yes I love to make pom poms! I swear by the Clover pom pom makers, myself. Making pom-poms is so addicting! Also Clover's pom-pom makers are the best!